Calling all the brunette beauties! 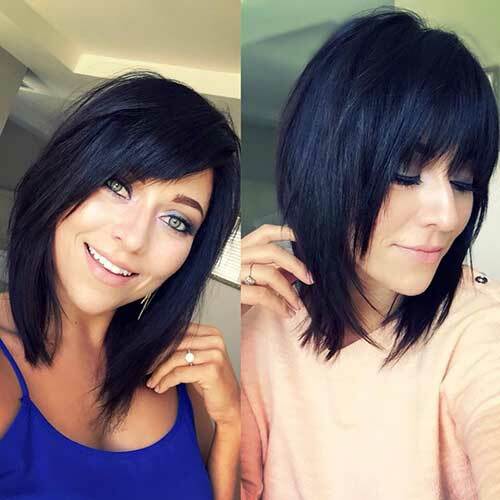 If you have brown hair color shade and looking for a new bob hairstyles here are Ladies’ Beloved Brunette Bob Pics that we have collected just for you! 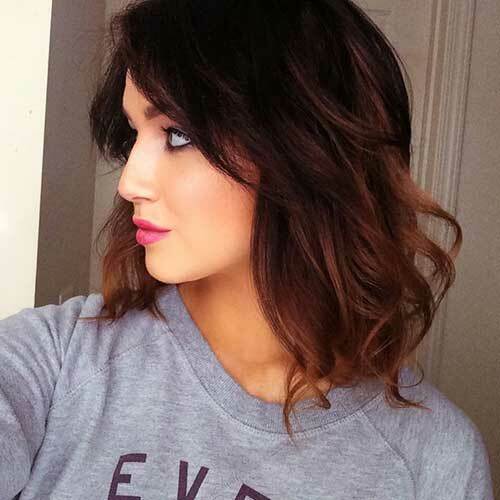 Brunette bobs looks perfect when you have nice natural look with green or blue eyes. Chocolate brown hair color and full bangs frames her face nicely and emphasize her eyes. Angled bob hairstyles are perfect for ladies with oval ad round faces. If you have dark brunette hair color you can add some lighter highlights to create this stylish look. Dark brunette bob hair with a voluminous blow out can definitely emphasize your eyes if you have blue eye color. Choppy layers are great for ladies with straight and fine hair, this way you will achieve a really modern and chic look. 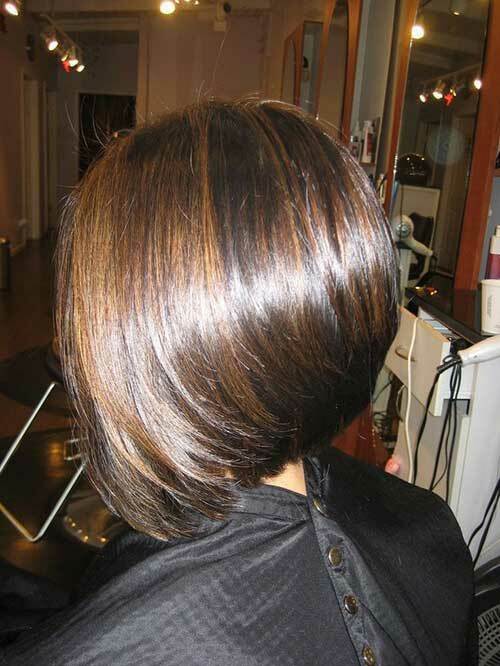 Here is an A-line bob with caramel highlights for straight hair. 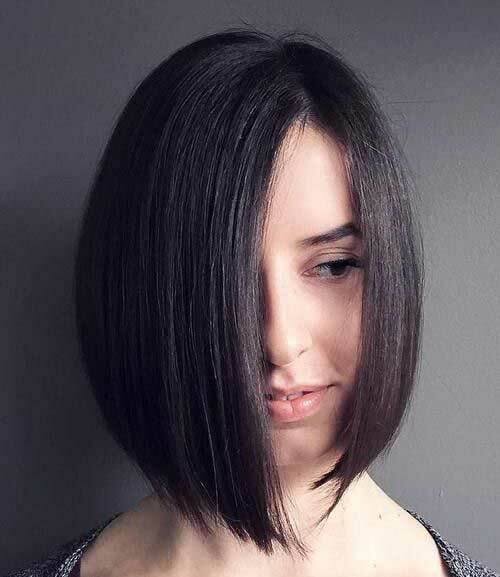 Dark bob hairstyles with a classy cut can definitely face framing and effortlessly chic. You can add bangs to frame your face nicely and dark hair color will emphasize your eyes. 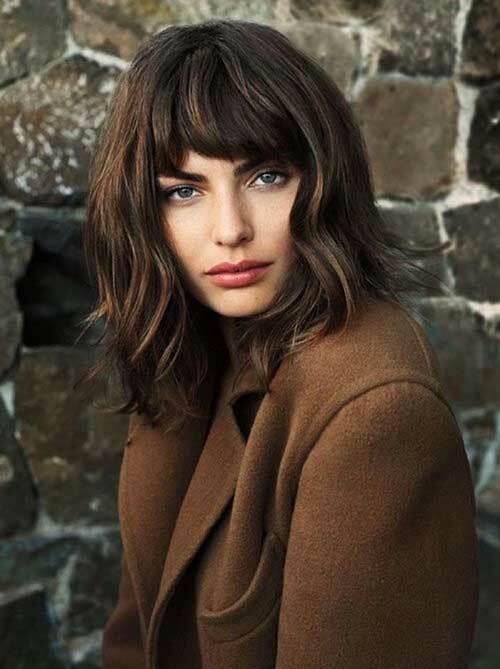 Here is a slightly angled long bob hairstyle for brunettes with thin hair texture. 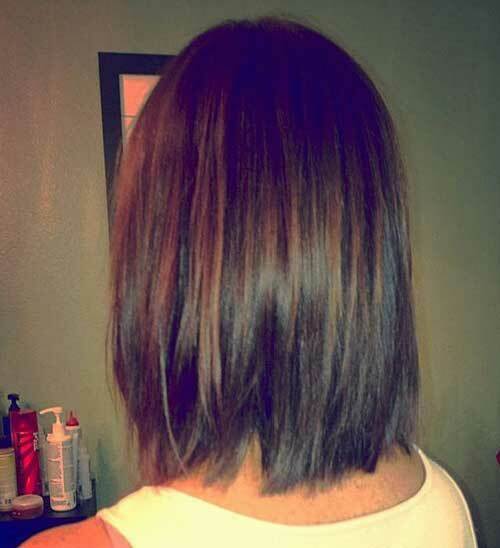 If you have thick hair this long bob with full bangs would look really pretty on you! Would you like to sport 90′ inspired bob, here is a naturally styled bob hair of Winona Ryder. Jessica Biel sports layered long bob hair with blonde balayage and loose waves. 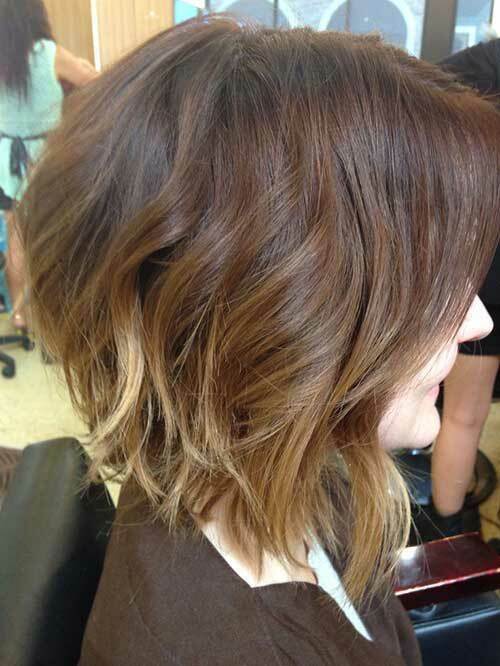 Lastly sombre for bob hairstyles are really popular and looks great on this angled bob.